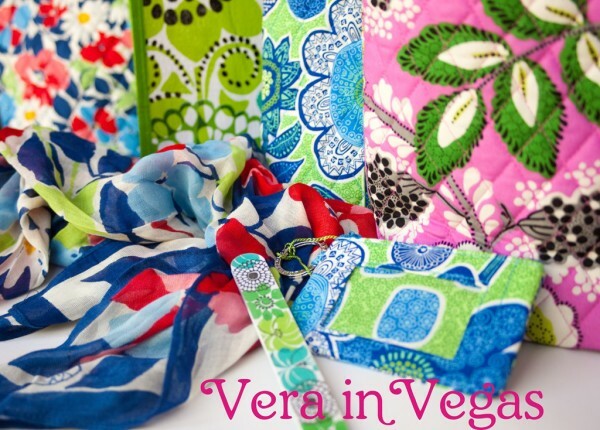 While I wash the casinos out of our clothes and run to the grocery store I’m thinking of how to describe the fabulous Vera Bradley event I attended this past weekend in Las Vegas. Some words come immediately to mind… colorful, high energy, surprises, generosity of spirit, wonderfully open, approachable and friendly people. It was quite an event and I was very impressed with every aspect of the day from greeting us with electro swing music (who knew there was such a genre) and video presentations to the beautifully presented decorated room (gasp!) to find everything Vera, to the inspirational and humorous conversations on stage with co-founder Barb and the incredibly touching story of courage of breast cancer survival told with grace and humor along with Vera Bradley’s financial support of designated breast cancer research. I have such a new respect for the giving nature of this company. I need to organize all I want to share with you. We also left with armfuls of goodies in all the new summer colors! 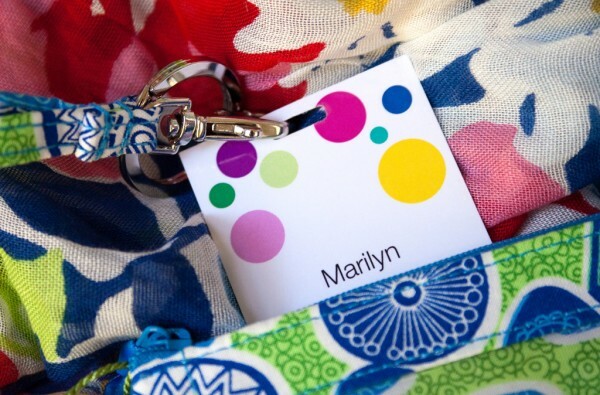 A scarf, a lanyard, 4 tote bags, an ID holder and more. VB was unbelievably generous to those in attendance and the creativity in which the gifts were given made it so much fun. You never knew what wonderful thing was going to happen next! 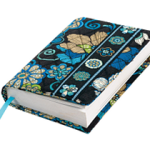 Vera Bradley Small Kisslock Wallet… love it! It sounds like everyone who went had an amazing time! Enjoy all of your goodies!! I hope to be able to attend next time. Yaaaaaay for the hubs! And all your Vera purdies just make me giddy! Oh how I love me some Vegas!!!! was there too! Can’t wait for the next! You wrote about it perfectly! If I did not love teaching- I soo would want to work for her! My mom and daughter loved it too!! My sis and I were at the event in Chicago. What an awesome experience! So many freebies, gourmet food, heartwarming stories. 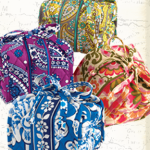 Hooray for Vera Bradley! Marimbachic, there were a lot of gals that went to the Chicago event. I spoke to people from Kansas and Wisconsin. Crazy! Are you going to Orlando? Never enough tote bags, never enough tote bags….. So a good time was had by all, fantastic. One can never ever have to many totes, right? Bronco mom, that’s a rhetorical question, right? 😉 lol! You totally hit the jackpot!!!! What a fabulous review! I was there too and still can’t stop smiling every time I see my new totes and goodies. I now have a bag in each of the new summer colors. Thanks for putting a smile back on my face:-) I can’t wait to go to Orlando! They really did a great job. My mom and I had such a nice day. We were grateful that we didn’t have to fly their because getting all our goodies to fit would have been a chore. I even won a gift card in the Quilted Quizshow so my fun is not yet over. Wow….Las Vegas was good to you!!! Whoa whoa whoa – nice job Rob! Marilyn – I caught Vera Bradley on QVC yesterday and I thought of you. 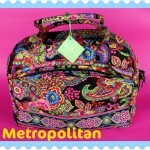 Have a great week drooling over all your new Vera Bradley goodies! 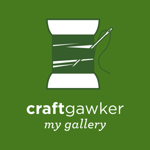 How many tote bags do you need…shame on him! I hope he shared his winnings….I see another Kate Spade bag for fall perhaps!